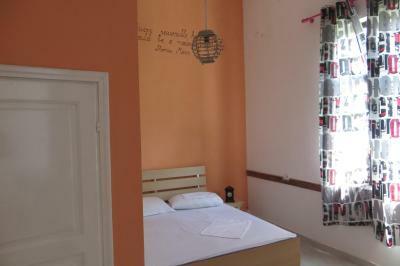 Lock in a great price for Hostel Durres – rated 8.8 by recent guests! I felt like I was at home. The common spaces are great for hanging out. Breakfast is nice and filling. The kitchen is spacious and fully equipped. The owner is very nice and helpful. I had a 2:45am flight leaving Durres and he helped me arrange a taxi to get to the airport making sure I arrived well. The volunteering staff are amazing. Great atmosphere and they are very welcoming and helpful. 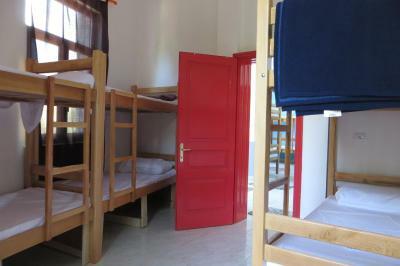 The hostel has a very central position, it is in a lovely place. The bar is also very nice. The staff are a refreshment in a town where very few speak English. 1. Staff: Incredible staff. They are kind, helpful, and so much fun! We celebrated my birthday and shared lots of time together! The volunteers here are great fun! 2. Location: Near everything! 3. Building: The roof terrace is great and one of my favourite places in this hostel. I ate all my breakfast there! 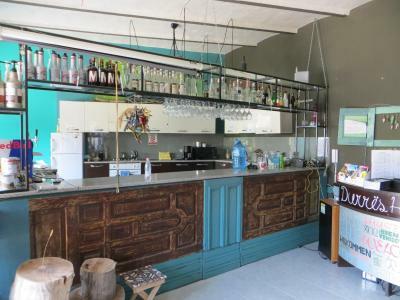 The hostel is connected to a cute bar / cafe, which is nice! To get into the hostel, you need to pass a locked gate. This gives a feeling of security. 4. Rooms: Quiet rooms. 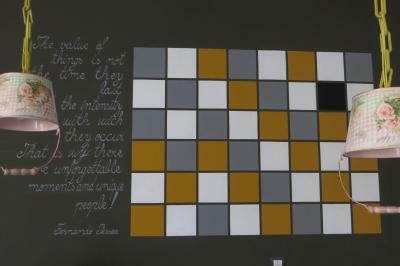 :) I liked the quotes on the walls, names of the rooms, and decor of the hostel and garden. 5. Wifi works! 6. Good vibes. Well it was more than i expected, fluffy bed, people from all around the world, happy and calm, exactly how every hostel should be. Thanks keep it up guys! Location, price and staff are excellent. 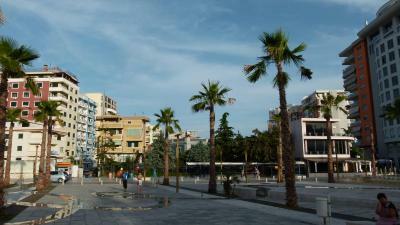 Durres is a popular tourist destination and you don't feel like you are in the center of town. It's a small oasis of its own. Staff was lovely! I panicked when I lost my wallet but they helped me look and we found it. They told me what there was to do and they were like a little family of volunteers who all spoke fluent English---something to be appreciated in Albania.. I don't know how long they will be there though! The hostel itself was very cute ! Bohemian like with amazing staff ! 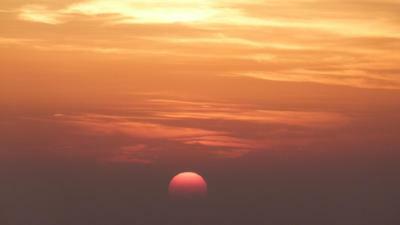 Very good location and surrounding areas . 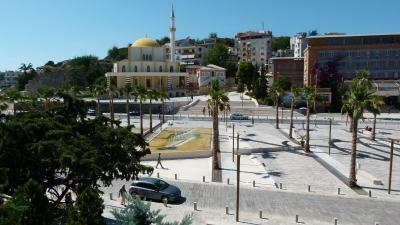 Hostel Durres is located in Durrës, 2,300 feet from the shore. Free WiFi access is available throughout. The property is 150 from Durres Amphitheater. 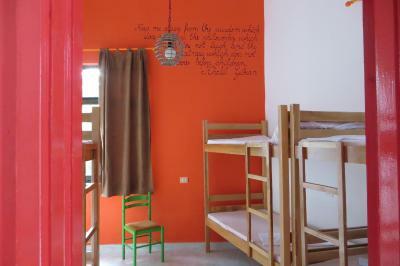 The dormitory rooms come with 4 or 6 bunk beds and a shared toilet. 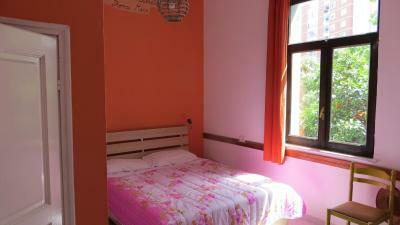 The double room features a double bed and a private bathroom with a shower and a toilet. At Durres Hostel you will find a 24-hour front desk, a bar, a spacious garden and a terrace. Other facilities offered at the property include a shared lounge, a shared kitchen and luggage storage. Guests can enjoy a free breakfast served every morning. An array of activities can be enjoyed on site or in the surroundings, including cycling. 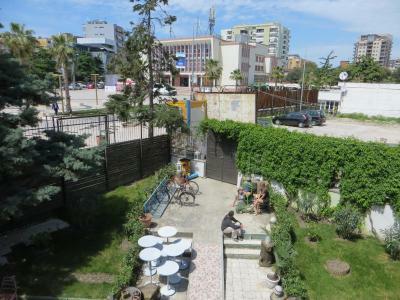 The hostel is 1.2 mi from Port of Durres, and 15 mi from Tirana Airport. 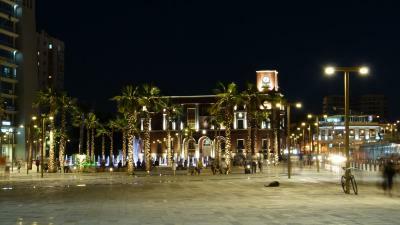 This property also has one of the top-rated locations in Durrës! Guests are happier about it compared to other properties in the area. 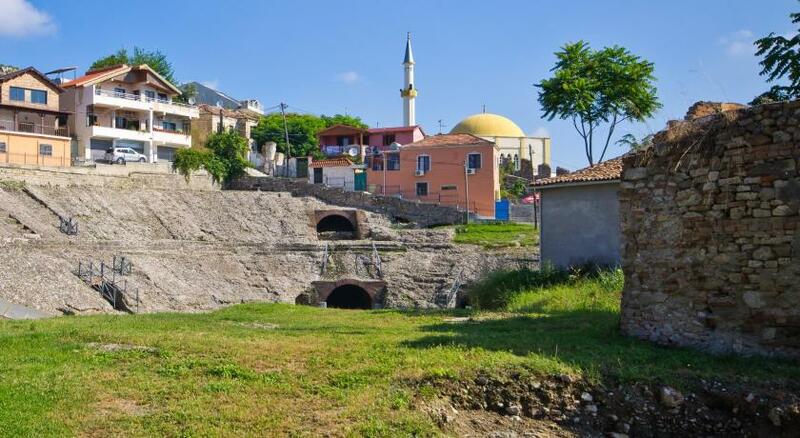 This property is also rated for the best value in Durrës! Guests are getting more for their money when compared to other properties in this city. When would you like to stay at Hostel Durres? The building is located on the main square, and is a vila built in the 1930s. 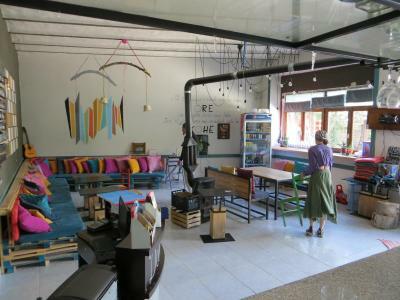 It has functioned as a house, a showroom for Ford cars and as offices for the municipality and even for Mormons community. After we have renovated this abandoned building in 2014 it now functions as a great and vibrant place for travelers to meet each other and relax in the city of Durres. The rooms are different in size, and with their high ceilings give a spacious effect. Downstairs we have a large common area with an open kitchen where we cook for ourselves and our guests, who ever wants to join for dinner. 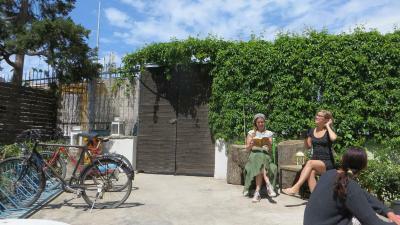 House Rules Hostel Durres takes special requests – add in the next step! The Volunteers were really nice. 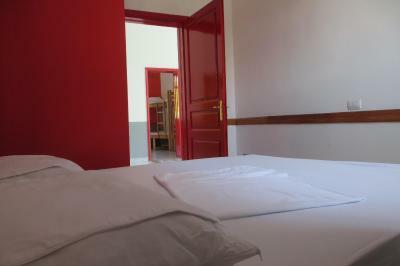 The hostel is perfectly located in the city center, not to far from the bus station and also close to the beach. 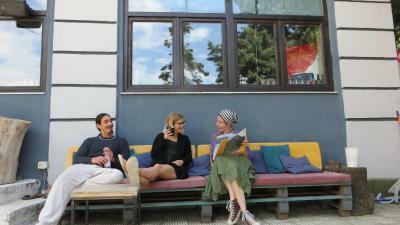 It was a charming hostel with fantastic staff. The breakfast was excellent, the location perfect. 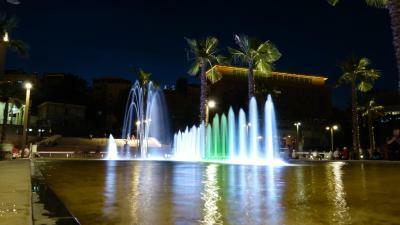 This is the place to stay in Durres! The volunteer staff let me stay till 1800 for ferry @ 2200.able to do my washing. 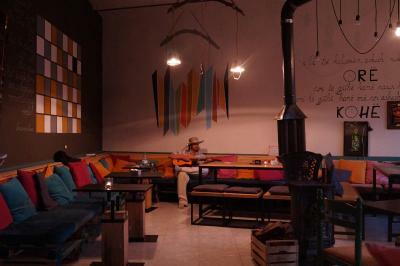 very cosy place with beautiful roof terrace. Caters for bigger budget to lower budget. Staff was a little standoffish and unhelpful. Couldn't even operate the washing machine. Rather millennial. Great location. Super cool vibe. Nice kitchen with an oven too. 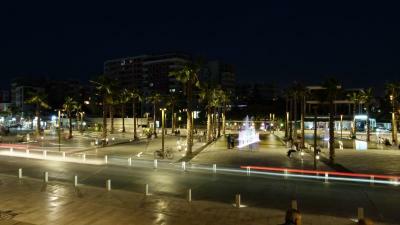 The best location in Durres, rooftop has amazing view.. the atmosphere overall was amazing with chill outdoor area..